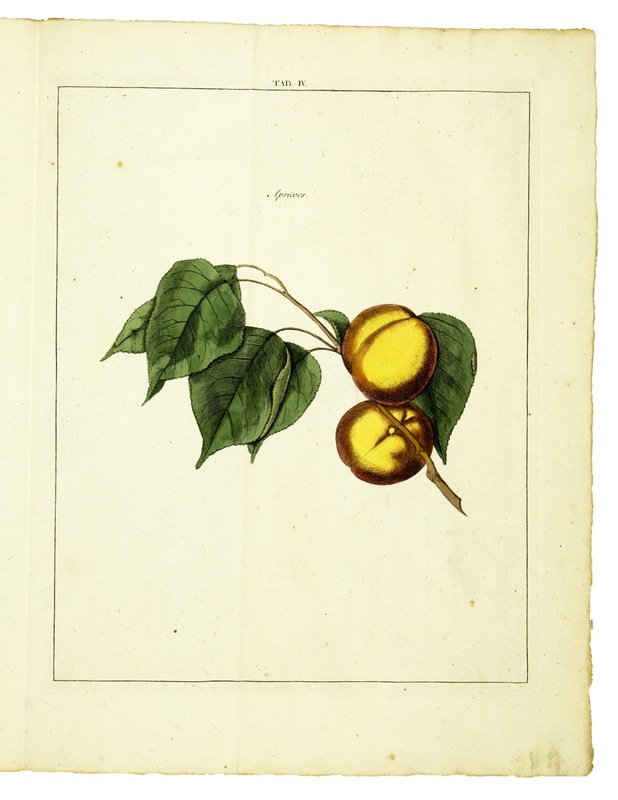 (together with:) Beschryving der vruchtbomen en vruchten die men in de hoven plant en onderhoud ...(together with:) Beschryving der plantagie-gewassen die men inhoven aankweekt ... Amsterdam & Dordrecht, Allart, Holtrop ..., 1790. 3 volumes (bound in one). 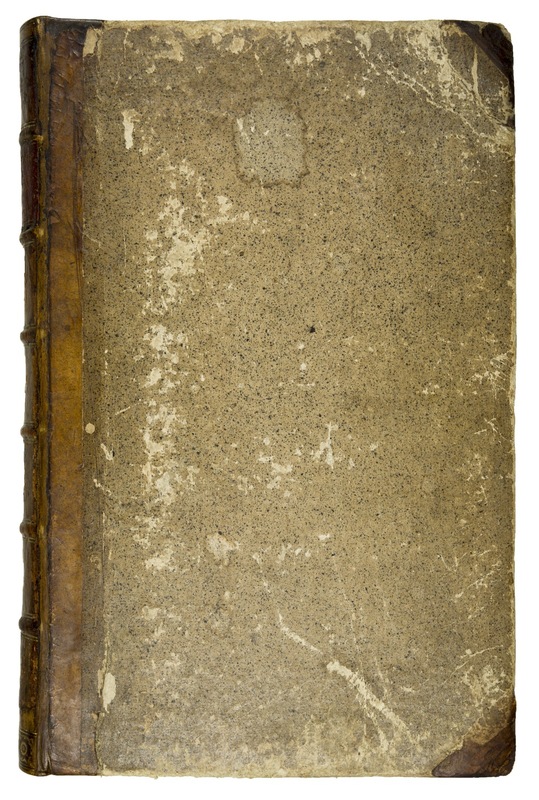 Folio (332 x 215mm). pp. (8), 36; pp. 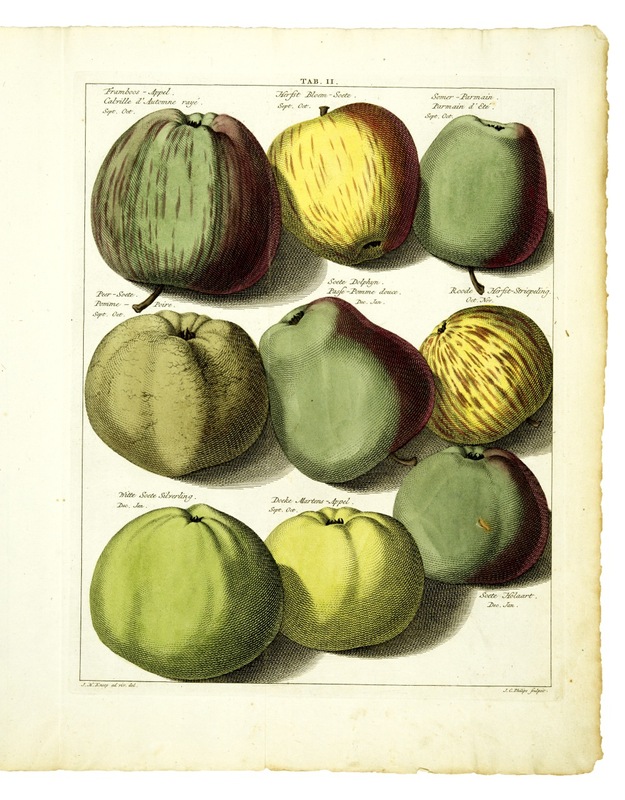 (4), 70; (4), 87, (1), (4) with 39 handcoloured folded engraved plates. Contemporary half calf, gilt ornamented spine with 6 raised bands and gilt lettered red label (skilfull repair to ends of spine & upper hinge). 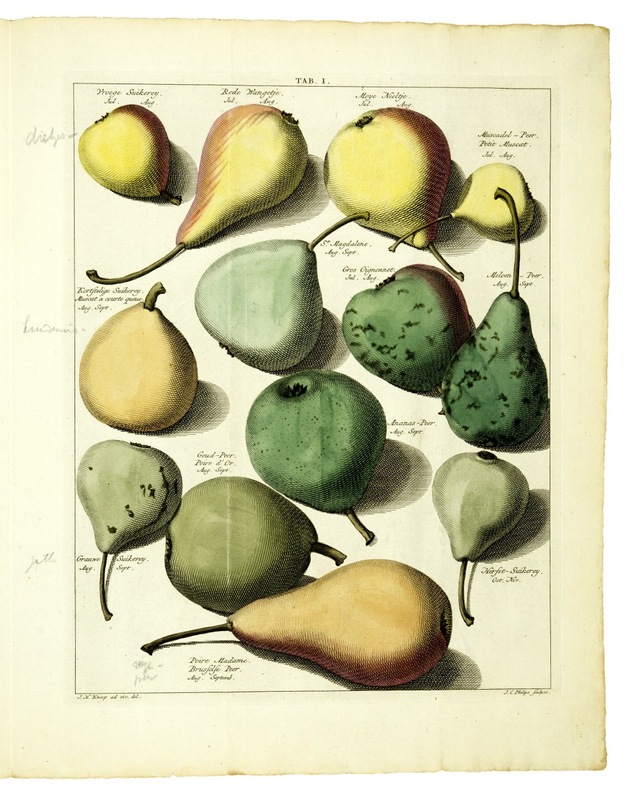 Famous work on pomology and fruit trees, the first monographs published with colour plates on this subject. 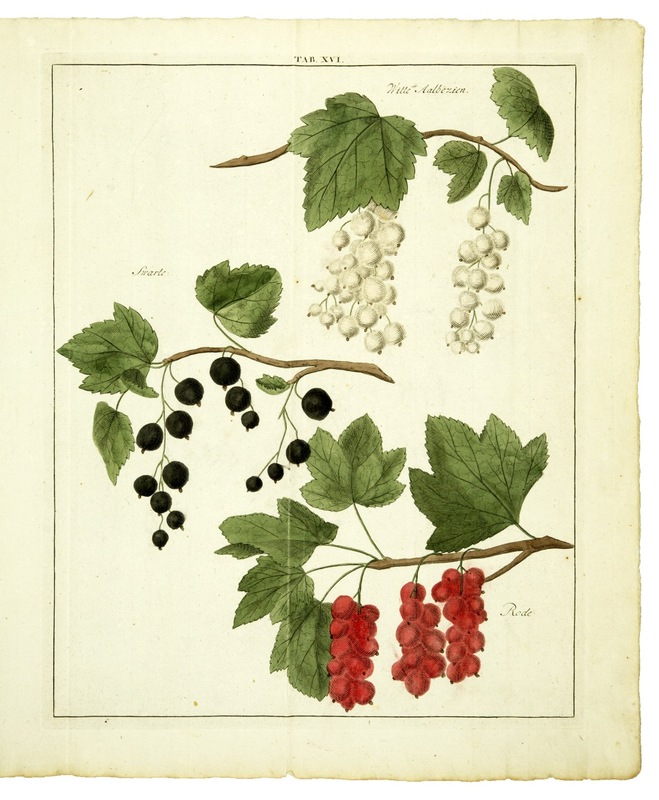 The 3 parts were published together. Very popular it was re-edited several times, and translated into French and German. 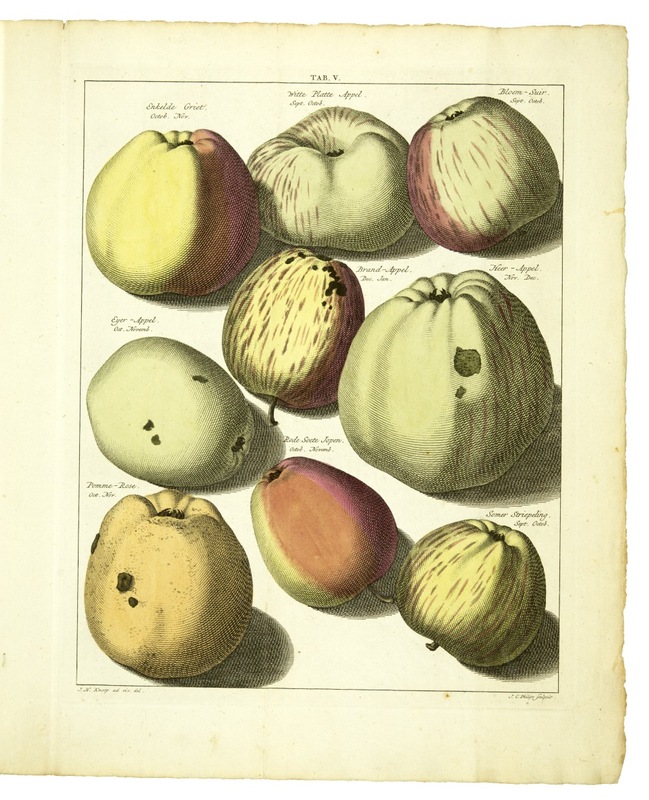 "The fruit monographs, apples and pears in the first, plums, peaches, cherries, nuts, and soft fruit in the second, are among the earliest books on the subject to be illustrated with coloured plates, the 'Pomologia' ones packed with a dozen or so varieties, each with a label giving its time of ripening. 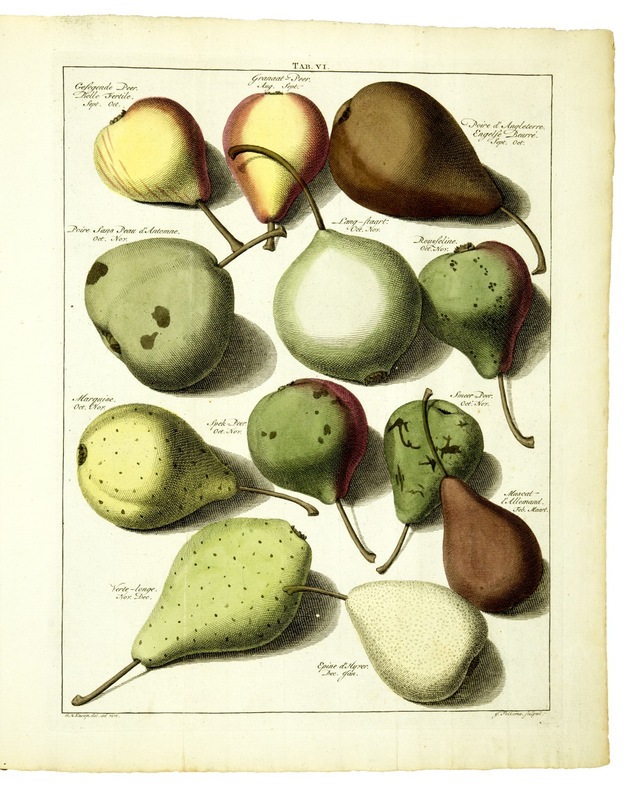 These plates, based on Knoop's own drawings ... are larger and folded in the later Dutch edition of 1790" (S. Raphael, An Oak Spring Pomona, 48). 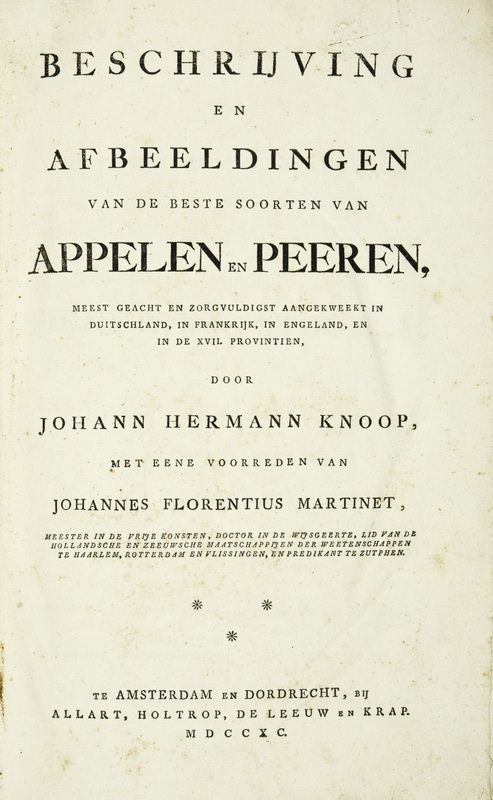 Johann Hermann Knoop (1700-1769) was head gardener to the Dowager Princess of Orange at Marienburg, near Leeuwarden. "Man muss nachdrücklich festhalten, dass J.H. Knoop mit diesem Werke eine neue Wissenschaft begründet und ihr den Namen gegeben hat. Er beschreibt die besten Sorten, Äpfel und Birnen, und gibt die ersten farbigen Abbildungen in natürlicher Grösse wieder, wie sie in Holland, Deutschland, Frankreich, England sowie in andern Ländern angebaut wurden" (S. Martini, Geschichte der Pomologie p. 59). Nissen BBI, 1077 & 1078; Raphael, An Oak Spring Pomona, 48.